Please note Galentine's Day Moonlight Yoga at The Heinz History Center occurred in past. Who needs Valentine's Day when you can toast to health and history with your closest gal pals on GALentine's Day? 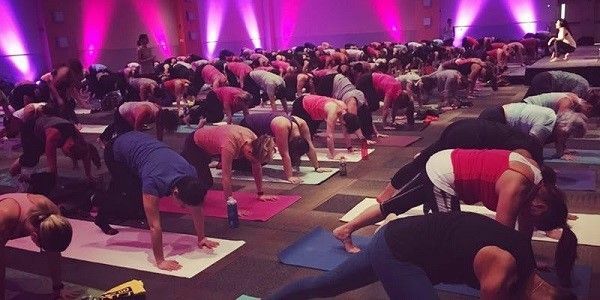 Join the History Center, in partnership with Pittsburgh Yoga Events & Athleta, and for a fresh and fun yoga experience the day before Valentine's Day. 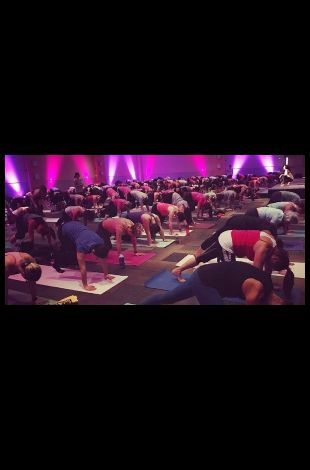 Sarah Reed-Lieb, certified vinyasa yoga instructor, will lead you and your friends through a 60-minute all-levels flow, with a special emphasis on heart-opening poses! Following the class, enjoy a moon-inspired cocktail, space-themed snacks, and after-hours access to the Smithsonian's Destination Moon: The Apollo 11 Mission exhibition, featuring the original command module Columbia. Galentine's Day attire is encouraged, so wear your purple, pink, or red, and hearts of all colors!